New students, this special introductory offer is for you!  A haven for Yoga students for over 40 years, the World Yoga Center was created with a pioneering and idealistic spirit at a time when a whole generation was passionate for higher consciousness and Truth. Its vision today – as it was in 1972 – is to encourage students to develop their relationship with their own essential Self so they can live life more fully, from the vantage point of higher awareness. 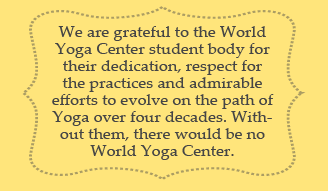 The World Yoga Center welcomes students of all ages, at every level of ability. Through the Yoga practices, students embark on an awakening journey of transformation while developing bodies that glow with health and fitness. 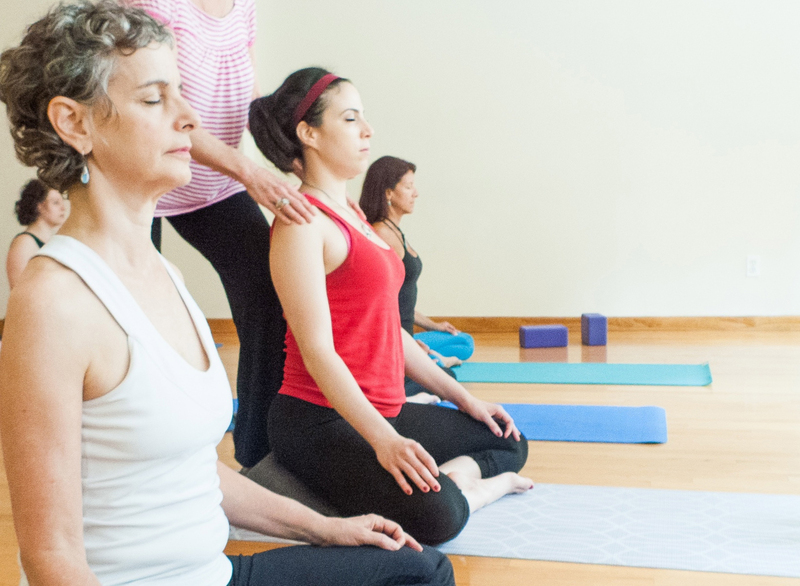 The entire WYC faculty functions as a teaching team guided by the wisdom of Yoga passed down through a lineage that is thousands of years old. 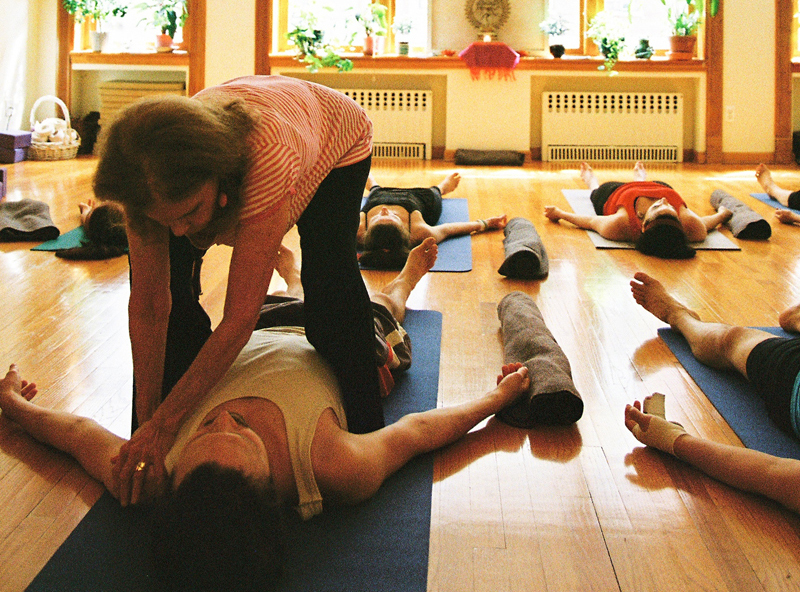 Each teacher holds the heart of this tradition in his or her own unique way bringing rich experience, well-honed skills and personal commitment. Rudrani, WYC Director and Founder, learned directly from a living master and sustains the core vision of the school as a mystic, healer, scholar, and experienced guide. We are 46 years old, one of the oldest schools in NYC. 40th birthday celebration in 2012.